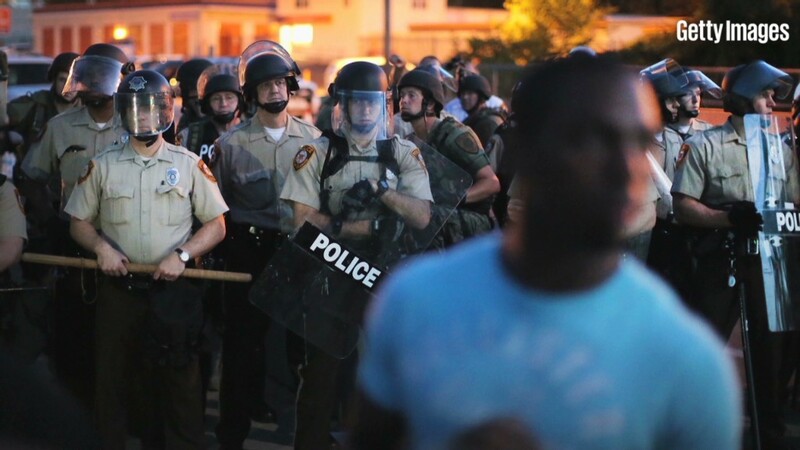 The protests in Ferguson, Missouri, have laid bare America's ongoing racial divide. One source of that tension is the large financial gap between black and white Americans. A typical black household has accumulated less than one-tenth of the wealth of a typical white one. And it's only getting worse. Over the past 25 years, the wealth gap between blacks and whites has nearly tripled, according to research by Brandeis University. That's in large part because home ownership among blacks is so much lower. Housing is often Americans' greatest asset and a major component of their overall wealth. 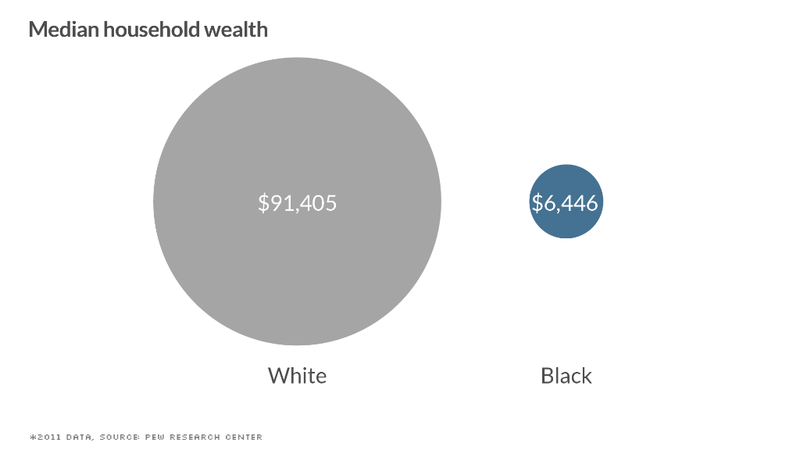 Blacks also typically have lower incomes than whites, which also makes it harder for them to save and build wealth. 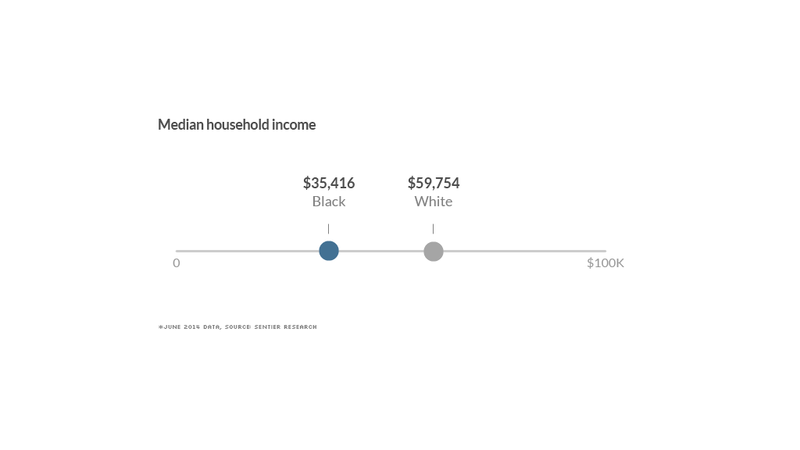 The median income for black households is less than 60% that of white ones. Unemployment is also a major problem. 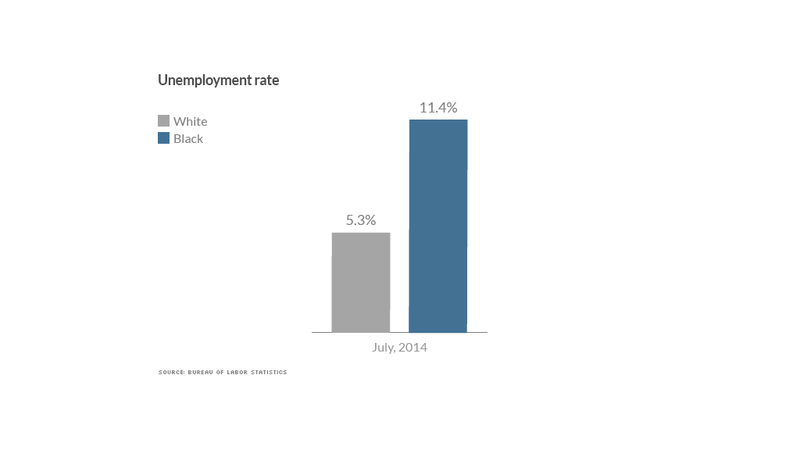 The jobless rate for blacks is twice that of whites. The gap has been at least that large for years. All of these factors combine to push many blacks into poverty. America's 15% poverty rate masks the underlying racial differences. 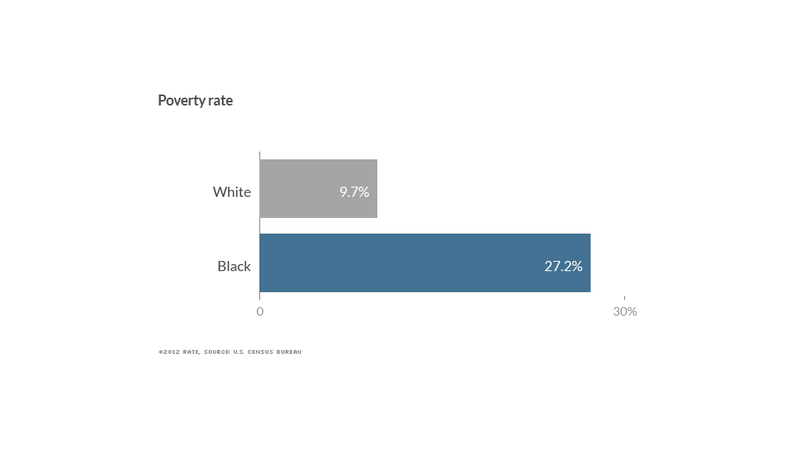 More than one in four blacks live in poverty, while fewer than one in 10 whites do. The economic situation in Ferguson mirrors the national picture, with poverty, unemployment and low income pervasive among its black residents.